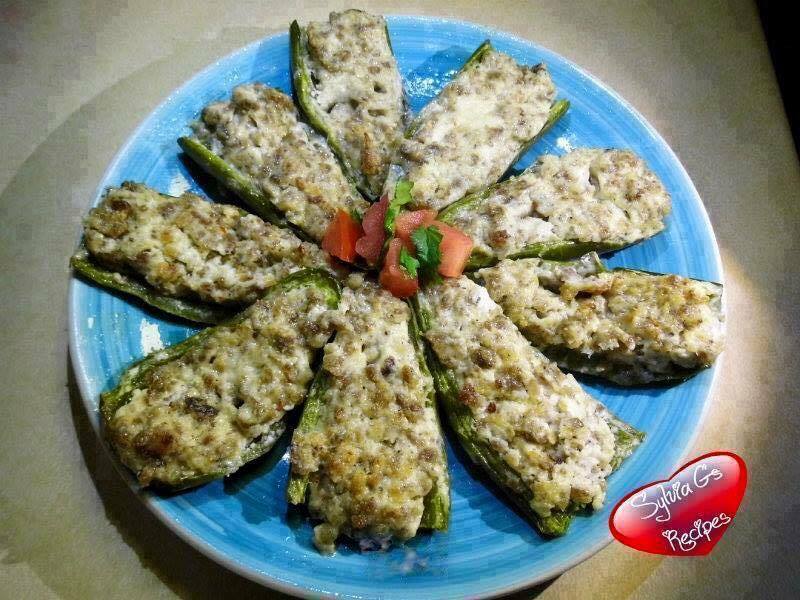 An easy to make, deliciously spicy dish great for hanging out with friends or as an appetizer! Low carb! Cook the sausage until done and put aside. Mix softened cream cheese with Parmesan cheese. Add cooked sausage to cheese mix and mix well. Cut each jalapeño lengthwise and remove seeds, rinse jalapeños and dry with paper towels. Use a spoon to stuff jalapeño with sausage and cheese mixture. Cook for 20 minutes until tops are golden brown using a large baking pan. Cool for 10-15 minutes and Enjoy!